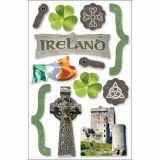 Paper House 3D Stickers 4.5"x8.5" - PAPER HOUSE-3D Stickers: Ireland. Colorful 3-dimensional stickers perfect for any paper craft! Use them in cards, scrapbooks, home decor and more! 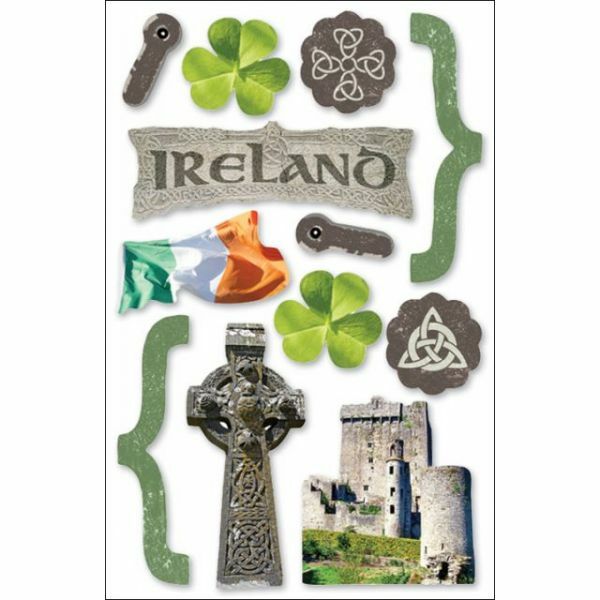 This package contains one 7x4-1/2 inch sheet of 12 stickers with an Ireland Theme. Imported.